We are pleased to announce that the first version of the Open Repair Data Standard (ORDS) is now ready, following the initial meeting of the Alliance’s founding members on 6th October during Fixfest. 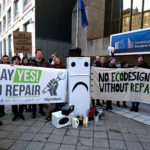 The standard captures initial steps by Open Repair Alliance founding members in creating a shared approach towards collecting and openly sharing repair data about small electricals and electronics. This will allow us to identify trends and patterns globally, but also within countries and regions, by combining data from local events. 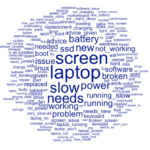 For example, when we combine our data, we could identify the most recurrent failures and fixes of blenders brought to community repair events in the UK, across Europe and even globally. For this version 0.1 we concentrated on standardising elements already captured by most members, prioritising areas where there is already convergence on, while leaving out other areas where more work is needed. Data collected will be shared with an open Creative Commons license. Organisations and community groups willing to comply with the standard will be adopting it to collect data at the events they run, then publish it with monthly updates. The standard document also provides an example reference data file. 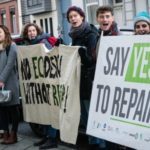 The Open Repair Alliance will be keeping a record of all datasets complying with the standard, published on the Open Repair Alliance’s website, allowing interested parties to access them. The standard document also explains the current governance and membership structure of the Open Repair Alliance, which will be valid until October 2018.